Leiden University has been elevating minds and making an impact since 1575. That’s 443 years of tradition and innovation. In its nearly 450 years of existence, our university has built a solid reputation. Notable Leiden alumni include members of the Dutch royal family, King Willem Alexander, Princess Beatrix van Oranje-Nassau and His Royal Highness Constantijn van Oranje-Nassau, as well as former Secretary General of NATO Professor Jaap de Hoop Scheffer and current Dutch Prime Minister Mark Rutte. Even Winston Churchill was an honourary degree recipient of Leiden University! Throughout its history the university has stood for freedom and its motto, Praesidium Libertatis, translates as ‘bastion of freedom’, dating back to when its founder conferred university status on Leiden in recognition of the city’s resistance against Spanish invaders. The modern day Leiden stands for inclusiveness and diversity. It comprises seven faculties in the arts, sciences and social sciences, is home to 28,100 students from 120 different countries and describes itself as ‘a place of refuge where any question can be asked and answered in complete freedom'. The city grew up around the university over the centuries, and has made Leiden the vibrant student-city it is today. Leiden University has a second location in the International City of Peace and Justice: The Hague. Leiden University College, the university’s international bachelor’s honours college, the Faculty of Governance and Global Affairs and a number of programmes from our other faculties are based in there. A total of 16 Nobel Prize winners are associated with Leiden as well as 21 Spinoza Prize winners, the highest accolades awarded in Dutch science. Albert Einstein was once a visiting professor at Leiden and, in terms of modern scientific research, the university works closely with the Leiden Bio Science Park, the most prestigious life sciences cluster in the Netherlands and one of the most successful science parks in Europe. The university credits its high international rankings in science to the freedom it continues to give to its scientists to pursue excellence. Leiden University aims to maintain its internationally recognised position as a leading research-intensive university within the European area. Leiden already holds a leading position in many fields, including natural sciences, life sciences (the so-called 'red biotechnology'), medicine, social sciences, international law, astronomy and non-Western languages. The University positions its programmes within an international context and guarantees that the quality of the programmes meets internationally accepted standards. Our graduates are therefore fully equipped to take part in both master's programmes and PhD programmes in the Netherlands and further afield. Leiden prides itself on a teaching style that emphasises individual learning and small group work. Its modest-sized classrooms are designed to allow faculty to offer personal supervision and ensure that students’ needs are met. 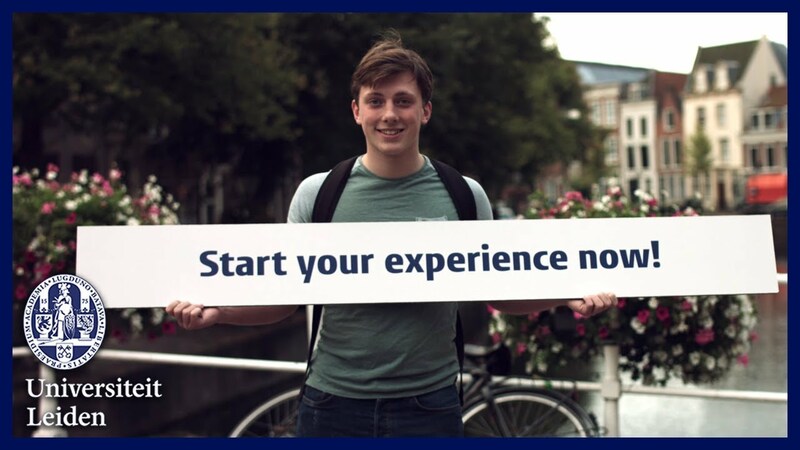 Leiden University will contribute to your academic and your personal development. Besides attending lectures, you will be doing your own research into topics that are relevant to society today, supported by lecturers and professors of international standing. Our international university is also the ideal place for networking with people from all over the world. Your opinion matters. Whatever your views, whatever your faith, for us freedom of opinion is key. The University offers a broad range of programmes: 12 English-taught and 40 Dutch-taught bachelor's programmes; 78 English-taught master's programmes (with 200 over specialisations); highly diverse PhD tracks; and various interdisciplinary minors. In addition, within the Honours Academy Leiden University offers an Honours College, the Leiden Leadership Programme and the Leiden University College The Hague for excellent students.